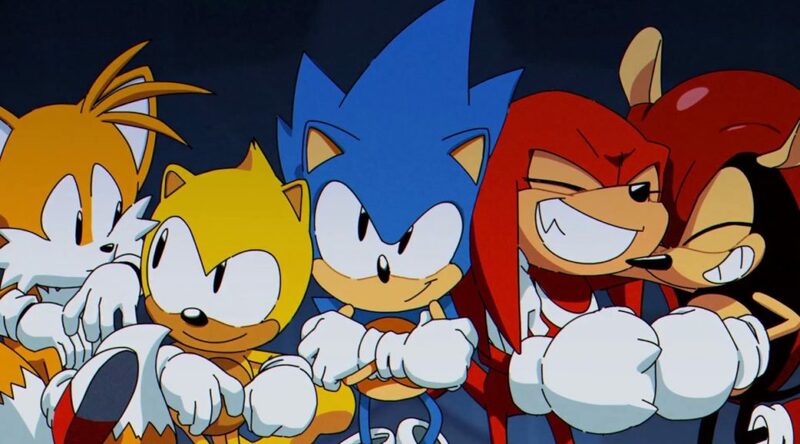 In a recent interview, Eurogamer spoke to Sonic Mania director Christian Whitehead to learn what really turns something into a Sonic game. It’s something interesting with Sonic. There are a lot of different fans, and they all have different feelings about what Sonic is for them. So I can only use my own feelings about what Sonic is and will always be for me … Obviously Sonic has a striking design, it’s an icon. When it comes to gameplay, there are many inspirations of pinball – all those external elements – almost make it skateboarding, with the idea of ​​picking up speed as you roll down the hills. They are all those physical interactions. The core of the game is really simple – you just get to the end of the game and win – but there are many different ways you interact with the levels, increasing speed at certain angles and jumping from them. It has a great feeling of playground. Going fast feels great – and in the era of Mega Drive it was a very impressive technical component – but also the freedom of gameplay, it’s what attracts me as a Sonic fan. The director also said he loves 3D games in general, and hopes to work on a 3D game in the future. Speaking of games in general, I love 3D. I have personally worked with my own technology in 3D, but not for Sonic. 3D is very interesting to me as a game developer. It presents a totally different world of design challenges. The reason why I started with retro aesthetics was that I was younger and it was easier to develop in 2D, because I only had to have the computer that my family had. But to make a game in 3D you need a bigger team, something in which I am personally interested. I am wishing it.